Motty Davis a teenage Patient suffering from CRPS/RSD for many years now has decided to raise funds to help Hatzolah toward sthe new radio communication system. 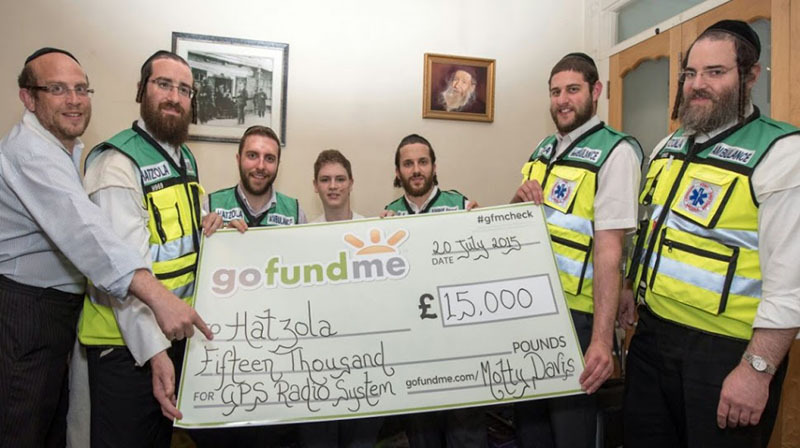 The new system will set back Hatzola about £45,000 and Motty has decided to help Hatzola raise the funds by launching a fundraising campaign using gofundme.com an online fundraising site. Motty launched the campaign with an initial goal of £5,000, proving to be a massive success raising the 5k in no time quickly set his goal to £10,000. Motty has now raised £11,500 for Hatzola which is an amazing achievement.